Ater reading the most romantic novel ever, O, Juliet, by Robin Maxwell, (see my review here)- for the Historical Fiction Bloggers Round Table Event- I decided I needed more Robin Maxwell books in my life! And so, I voraciously read Virgin, by Robin Maxwell, in just one sitting- it was that good! Until... Virgin: Prelude to the Throne, by Maxwell. This is the story of Elizabeth from about the age of 13 to 15- don't kid yourself, this is not children's literature. Major things happen to Elizabeth and England within these two years to spur England into a series of dramatic turnabouts that it would be impossible to write-off this important time period. 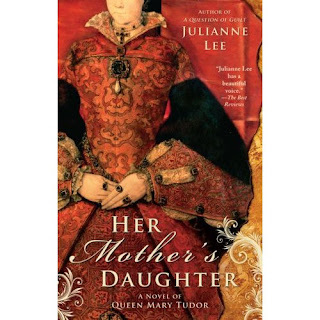 Elizabeth is being raised by her step-mother, the Dowager Queen Catherine and her husband, Thomas Seymour. With Kat as her guardian-lady-in waiting, you would think that Elizabeth had a dandy 'ole time with this wonderful mom and dashing dad...Poor Elizabeth, nothing could be farther from the truth. Elizabeth endures such traumatic episodes that no child of that age should ever go through. The abuse, betrayal, confusion and major incidents that happened to her would for sure leave a mark on her forever. For me, this book helped explain so many things. The poor child was torn between guilt, so-called love, shame, loss, confusion and almost treason- with the risk of death. I think I've never despised a character more than Thomas Seymour. And- what a change of heart for me to say that Elizabeth endeared me to no end! Her story literally broke my heart. I felt so much tenderness for this young girl who had her innocence cruelly taken away. What more could she experience aftet having lost her mother in the harshest of ways, her father rejecting her when she needed him most, and then this cruel man luring her heart and young blossoming passions in such a pedophilic way...all for his own glory. Poor, poor Elizabeth! She trusted and loved this slime ball and felt guilty for thinking that she may have been the one to lure him on! These are the typical feelings of youngsters who go through abuse of this sort. Yet, after all she went through, horrible damage to her soul and person, our beautiful young royal, came out standing tall, proud and more majestic than ever, and I rooted for her all the way! I must say that I am utterly surprised that after reading so much history, I've never read anything in such detail about this particular time in Elizabeth's life. There's always bits and pieces alluding to this horrid period- but never in such detail and never so real. Even Catherine Parr's death solved a few questions I had. this book is a must read. Virgin, is a must read for all Elizabethan fans and historians who feel there is a missing link in Elizabeth's life. Robin Maxwell has helped put the pieces together for me and now Elizabeth appears as a whole new different person. Her depth in character, her choices in life, her destiny and her ruling have roots from a far deeper place. I understand her so much better. I highly recommend this beautiful, heart-wrenching and enlightening read to all. Fantastic book- Thank you so much Robin Maxwell! I copy of O, Juliet to one lucky winner! This is open WORLDWIDE!!! Good Luck to all!!! Winner announced on Feb. 5th. The incredible Robin Maxwell Event involving reviews, giveaways, creative posts... at Historical Fiction Bloggers Roundtable has gotten my creative juices going! I got so inspired by the book that I immediately sketched a drawing of the lovers. I often do this when I read a book I love, or research an historical figure that has something that impresses or captures my interest. I haven't had the chance to share any of this art with you before though...but now that my scanner is up and running...! Here is my interpretation of Romeo and Juliet's tragic fate... Enjoy! 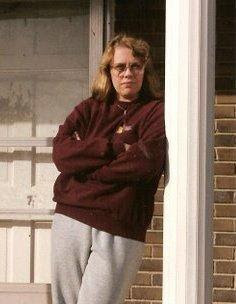 I should mention that since I'm new to this whole scanning business, I had the hardest time transferring it from PDF format into an image that was bloggable- once again, Thanks to Arleigh (who's always got my back)- she turned this into a jpg. Within a 10 x 12 frame, mixed mediums: water color, crayons, pastels and metallic paint. Sadly the colors are not as vibrant here on screen, but I think the illustration captures the mood. Lizzy's creative post "The Duel"
For a complete listing of Events running throughout the week, check out: Calendar of Events at HFBRT. I finally got my scanner working and so now I can at last display the wonderful art and art books I've been reading and collecting. This will be a new series of mine- so get ready- if you love art in history, I've got plenty of goodies for you! Today, I'll begin my series with This precious little book that was given to me as a gift from my good friend Marie, over at the Burton Review. 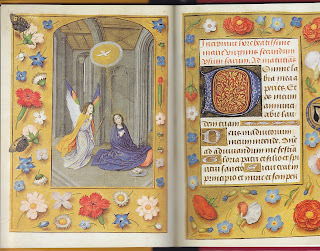 I was so delighted to receive The Hastings Hours, by Janet Backhouse, especially because it depicts the miniatures found in the devotionals of Hours to the Virgin Mary- but because it also represents the last form of medeival art. 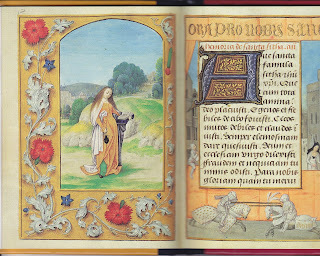 This illuminated book does not contain the essential components of the Hastings hours per se, meaning the prayers, what it does contain though, are the exquisitely painted miniatures representing the saints or Biblical episodes as venerated back then. 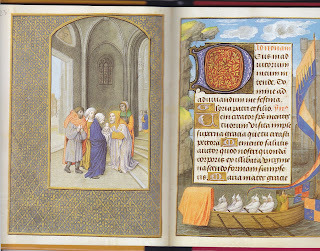 These types of illuminated manuscripts used to be big business back in the Middle Ages- and the Hastings Hours contains some of the earliest forms to be found. Although the artist is unknown, the same technique and hand is used, leading scholars to agree that it may have been the work of one sole artist for this particular manuscript. It's believed that William Hastings-( you remember him back from the days of Edward IV, the King's good friend who also happened to marry a Neville; sister of the Kingmaker)..anyhow...throughout this book there are distinct signs that show that this book did indeed belong to his house. 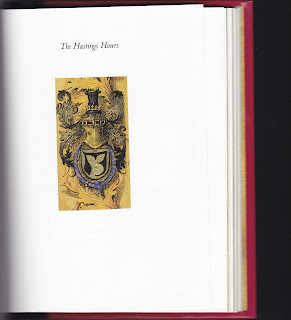 The Hastings Arms appears in many of the miniatures, signifying some belonging to the name. In regards to the saints painted on several of the pages, these too would suggest personal meaning and importance to Hastings himself, as well. Hastings' widow, Lady Katherine had the manuscript in her will -but from then on it would seem to have disappeared- up until 1910, when it resurfaced. Since 1969 it is now part of the British Museum's Department of Manuscripts. I absolutely loved this precious art work! A little over 5 x 7, and a mere 63 pages. This gem is filled to the gill with breath-taking art. Religious artifacts, icons and illuminated books have always fascinated me and I search them out in all history nooks whenever I can- so of course this book thrilled me! Thanks so much Marie- you just knew I'd love this! The Annunciation (the right page is slightly cropped, but if you look carefully you can see a bit of the Hastings Arms on the side in black). Stay tuned for more on special Art Books...I have a very special treat on Palaces! !- another gift from a dear friend, Arleigh. 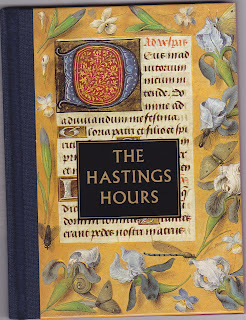 The Hastings Hours is my first entry for The Art History Reading Challenge. This week at Historical Fiction Bloggers Round Table, we are featuring Robin Maxwell and the release of O, Juliet. The week will be filled with Reviews, Giveaways, Guest Posts, Interviews, Creative Posts and much more. You'll want to check in with us daily for a new and delicious reading treat! How many times can this legendary love story be rewritten and reread, you ask? 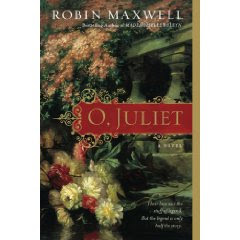 Well, when the author is Robin Maxwell, you had better rush out and get your copy of O, Juliet, cause this is one historical tale of romance that has just surpassed itself. Magnificent! Robin Maxwell has used her creative talent to spin a story involving historical characters, descriptive scenery, credible location, and poetic literature (Imagine pages filled with excerpts of Dante Alighieri’s words!). The ultimate passion, culminating in the world’s greatest love story. Oh Romeo, Romeo…make room for Juliet! This heroine is bright, educated and can recite rhetoric and poetry better than any man, at a time where women were denied this privilege. In this version, Juliet's best friend is Lucrezia Tornabuoni, who comes from the wealthiest and most respected family of the time. The girls' families are very close and when the daughters' are to be wed, a fabulous double wedding is planned. I absolutely loved this book. Although, I must admit, that at the beginning I was a bit reticent about the location chosen for this story. For me it was almost blasphemous to consider any other possible location other than historical Verona. Yet, Maxwell carved a very convincing re-piecing by tracing it to Tuscany, setting the stage for a possible and credible friendship with the influential family. As a matter of fact, every element of the tale helped create a believable story that no doubt, even Shakespeare would approve of. The thing I enjoyed most about this beautiful story is Juliet herself. I had never before imagined her having any other voice but that of Romeo’s chosen love. In O, Juliet, our heroine has a mind of her own. She is headstrong and knows what she wants. Her strength and character is felt throughout the book. This was a delightful surprise for me. I commend the author for her talent in capturing Juliet’s feminine essence in completeness- rendering history all that more appealing to read, especially for today’s younger women. For fear of diminishing any of its splendors, I kind of hesitate when saying that this, in my view, is a deliciously modern take of the romantic tale we have all read about before. Although everything about it has kept its historical flavor, the story is told with more detailed intrigue, suspense, passion, lust (without getting racy)and, yes, lots of tears! The story moves along at a fast yet tantalizing pace. And without giving anything away- the ending is brilliant. I always wondered about that…A twist that seals it perfectly. Read it, you’ll see what I mean. There is no way you can pass up this book. LOVED IT! Agreat post with fabulously unbelievable giveaways at Historical-fiction.com! 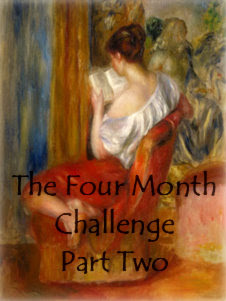 And- Splendid Artwork: Romeo and Juliet in Art, Part 1 at Hist-Fic Chick! The FRENCH HISTORICAL CHALLENGE- Oh-La-La!! Join me! 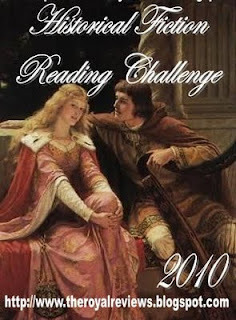 Enchanted by Josephine is launching its own historical reading challenge for 2010! ***All you have to do is read any Historical Fiction or Non-fiction books based on French history or French historical figures. Books can also overlap with other Challenges. 3) Come back to comment and leave a link to your post to let me know that you're on board! At the end of the year, I will have a GIVEAWAY by selecting a winner from all who have joined. So, are you in...Oui ou Non? 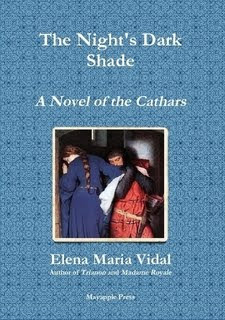 After having read the exquisite book, Trianon- A Novel of Royal France, by Elena Maria Vidal (see my review of that maginificent book here), I couldn’t wait to read The Night’s Dark Shade by this excellent author. Although different from the days of Marie Antoinette, in this 13th c novel, Raphaëlle, our heroine also lives turbulent and trying times that require a strong faith to carry on at all cost. A noble by birth, Raphaëlle had been appointed in the court of Queen Blanche, when all was well under the rule of Louis VIII- The Lion. After Louis was killed in the crusade against the Albigensians, along with Raphaëlle’s father and her betrothed, the country underwent the rule of the King's young son, Louis IX. It was a trying time, with the masses rebelling and poor Queen Blanche barely holding what was left of the kingdom, together. Raphaëlle, now practically an orphan, was given permission by the Queen to leave and live under the guardianship of her uncle- and to marry her first cousin, Raymond. A new life was promised to her, and despite the sorrow of having lost her closest loved ones, Raphaëlle bravely took on the journey towards her new life. What was unbeknownst to her was that her uncle’s castle would be dreadfully macabre…under the rule of not so much her uncle, but especially so of her aunt, Lady Esclarmonde. She was the highest priestess of the Cathars, a group of fanatically religious people who had a skewed sense of that which was moral or good. On a mission of ridding the world of children, marriage, and all essence of Christianity, the Cathars believed in adulterous relationships, strict fasting of meat, the facilitation of killing babies (born or unborn) all for the good of the planet…hmmm. The Cathars attended morbid rituals in the deep of the night, in a hollow cave where the secret gem that held all powers was kept. Although the Cathars were sought after and tried for their heresy, the tribe thrived in living incognito amongst the people of the villages. The castle where Raphaëlle lived was home to their highest Queen- and all villagers feared her. Also despised and suffering cruelty at the hands of her husband to be, a great Cathar leader in the making, Raphaëlle planned her escape. Throughout the book, there are many good soldiers and monks who help fight the cause, helping the innocent and the travelers along their way. One such grand man was Sir Martin, a Knight Hospitaller of Saint John. He was almost a constant presence in this book- a savior as often as he was maligned. We meet many intricate characters in The Night’s Dark Shade; each contributing to the riveting events that ensue in this well written book. I enjoyed learning about the religious differences and strongholds that this heretic religion had on those almost barbaric times. Surprisingly, I often felt that there were many similarities to some of the pejorative notions still held today by certain groups, in terms of marriage, children and morality, for the most part. The opinion of saving a world at the sake of its inhabitants and the over-indulgence at the expense of others resonated strongly in my mind as controversial topics that still make waves today, as they try to pass themselves for the norm. It was indeed quite thought provoking to read this book- which is about not only an absorbing love story-but also about the tribulations in the name of religion, the horror in the beliefs of the times and the suffering for cause. Will Raphaëlle’s soul find peace through love and her true calling? Friendship, loyalty, deception and betrayal along with a strong religious vein are all found in this book that truly stands out on its own. I highly recommend this book to anyone who is interested in learning more about the time of the Albigensian Crusade and the heretics- specifically the Cathars in Southern France. But best of all, you’ll also find a beautiful love story with a surprising twist. A must for those who love to read about religion in history with a touch of pure romance. Today I have the great pleasure of welcoming the author of this enchanting book, Karen Harper. I love the name of this informative and inspiring blogspot, Enchanted by Josephine. It so perfectly summarizes that swept-away feeling readers have while immersed in a really good book. And it perfectly describes the feeling I get when I research and write my historical novels, such as MISTRESS SHAKESPEARE. I’m not sure why, but I have been enchanted by Tudor England and its “rock-star” monarch, Queen Elizabeth I, for almost as long as I can remember. I am never happier than when I’m writing about her or her kingdom. I’ve done a nine-book historical mystery series where she is the amateur sleuth, I’ve trekked all over England looking for Tudor sites—and now I am writing the books of my heart set in Tudor times. MISTRESS SHAKESPEARE is a novel I’ve wanted to write for a long time. For fifteen years I taught Brit Lit to high school students and really tried to make Shakespeare and his times come alive for them. We put on an Elizabethan Festival where students dressed in Tudor garb. We had a King Henry and Queen Elizabeth and her court, a joust, play scenes—and a (mock!) beheading. During those years, I was thrilled to discover in my reading that Will Shakespeare could have had another wife or at the very least, the love of his life. In a still-extant record book (There is a copy of this on my website www.karenharperauthor.com), Will Shakespeare is recorded as being betrothed to two Annes: Anne Whateley of Temple Grafton and Anne Hathaway (his well-known wife) of Shottery. But could Will have had two wives, or at least a Stratford wife and a London wife? The novel is a love story but it is also a mystery, for many clues in Shakespeare’s life point to a “dark lady” he loved, his inspiration and torment. 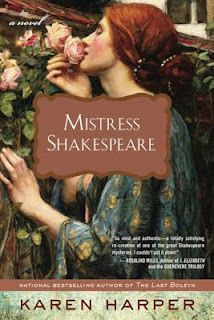 I must admit too that the stunning cover of MISTRESS SHAKESPEARE swept me away. It is actually a painting of a woman from a later English era, but it so perfectly captures the passion Anne Whateley has for life as well as her beauty and strength. In the movie Enchanted, a storybook princess is swept into a modern era. Despite the fact that Anne Whateley and Will were products of their time and place, I think they would have done well if they had to adapt to our times. Their creativity and backbone—and their undying love for each other—would stand them well in any era. I hope my readers will be enchanted by the characters and the teeming-with-life Tudor world of MISTRESS SHAKESPEARE. What a perfectly suited post! Lovely! Thank you so much, Karen. I'd like to thank Kaitlyn of Penguingroup USA for graciously offering 1 copy of this amazing book to1 of my lucky readers- Thanks so much! 1 chance: Leave a comment an your email address. 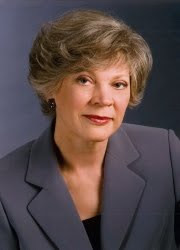 Today I have the pleasure of having Julianne Lee, author of HER MOTHER'S DAUGHTER, here on EBJ. But with the fictional folk I get to decide who they are, and even within the requirements of plot that leaves me a lot of room for creativity. Some of them end up being like people I’d want to know, and others not so much. But...favorite? Some may stand out more than others. Even the bad guys can hold a special place in my personal pecking order. A clearly imagined and well-crafted villain is as much a pleasure to read or write as the most stalwart yet Achilles-heeled hero. In the story he first appears as a musician in Henry’s court, when Mary begins her rehabilitation after the death of Anne Boleyn. He’s an Italian of ordinary lineage, but his proficiency with his instrument and his ability to keep his head down and his mouth shut earn him a career in the royal court. And, to his great agony, he has a crush on the king’s daughter. Poor Niccolò spends the next two decades or so, in Henry’s court then in Mary’s, cherishing her. So near, and yet so far. She longing to be loved, and he wishing to oblige, but never able to say so or express his feelings in any way. Over the years he observes the failure of her marriage, and her unhappiness, unable to do anything about it. Beautiful post- Thank you Julianne! And now for a GIVEAWAY of HER MOTHER'S DAUGHTER 2 Books! A Big Thank you to Kaitlyn from Penguin Group USA! 10 points for posting on your sidebar. US only- Winners announced on January 22nd. 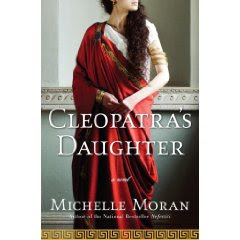 For this fortnight's book in the ABC Historical Fiction Challenge- for the Letter C, I chose Cleopatra's Daughter, by Michelle Moran. See my review here. 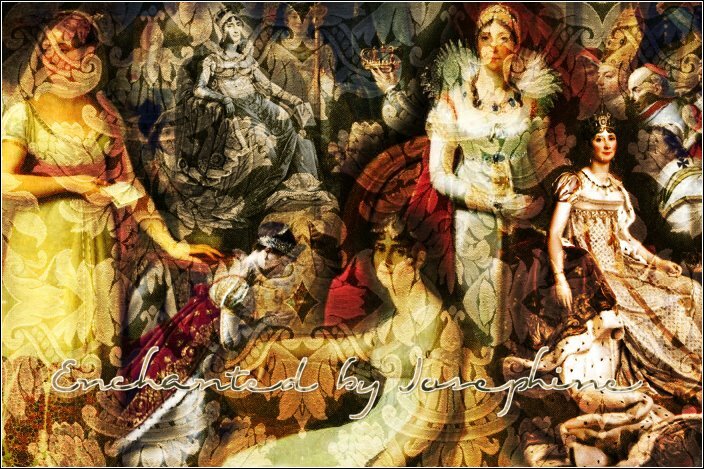 Please welcome Leslie Carroll, author of NOTOROIOUS ROYAL MARRIAGES for dedicating this wonderful post especially written for Enchanted by Josephine! No one knows how Malmaison (“bad house”) got its name. The château’s life began as a fief of the Abby of Saint-Denis, and from 1360 to 1763 it remained in the same family. On April 21 1799 the property was purchased by Josephine Bonaparte, the wife of the rising Corsican-born general, Napoleon. Neither of them had remained faithful to each other thus far. Josephine, the widowed mother of two children, Eugène and Hortense, was a survivor—of one bad marriage, and of the Terror. Josephine’s second marriage, to Napoleon, was initially another exercise of her keen survival instincts, although she and Bonaparte would eventually become thoroughly dependent on each other in every way. In 1799, Josephine was deep into an extramarital fling with another diminutive dark-haired officer, Hippolyte Charles. Nonetheless, she was depressed and missed her husband. She had taken Napoleon’s suggestion to find them a quiet country estate, purchasing the Château de Malmaison some ten miles from Paris, lavishly furnishing and redecorating it, although she was already up to her eyebrows in debt. Josephine never again so much as glanced at another man, desperate to regain her husband’s trust. As they rebuilt their marriage, they reconfigured Malmaison. Already Josephine’s dream home, Napoleon’s architects, Fontaine and Percier, altered the front façade so that it resembled a military tent. Classical statuary adorned a series of buttresses that unfortunately no longer exist. There was even a theatre, which is gone now as well. After Josephine was crowned empress of France on December 2, 1804, she rededicated herself to making Malmaison even more her own idyll. A conservatory and garden were added, because Josephine was passionate about flowers, especially roses. And she indulged her passion for collecting art and antiquities. The following day Josephine and her household moved into Malmaison. Napoleon visited her there that afternoon, and they were spotted walking hand in hand. It was clearly painful for each of them to let go of what they had shared for so many years. Josephine had been the emperor’s rock, confidante, companion, and grand passion. She had grown in the relationship from tepid indifference to utter devotion. Even after Napoleon's 1814 exile to Elba, Josephine maintained his rooms at Malmaison, shrinelike, just as he had left them. By this time, Josephine was fifty years old. Her skin had become discolored and her usually dulcet voice was raspy and hoarse. She had caught a cold in mid-May after going riding in one of her flimsy white muslin frocks and the chill had metamorphosed into a fever. Her symptoms were those of diphtheria. Yet she refused to remain in bed, hosting a dinner and dance in the tsar’s honor on the evening of May 24. Over the next couple of days her condition worsened. On May 27 she became delirious, murmuring his name . . . Bonaparte. Josephine’s children were beside her gilded swan-shaped bed when she died at Malmaison on the morning of May 29, “as gently and sweetly as she lived,” according to her son, Eugène. Mourning etiquette prevented her children from attending their mother’s funeral, a quiet ceremony held in the church at Rueil, where they later erected a sculpture of her. I had the pleasure of visiting Malmaison last September. It was a gloomy day, the Parisian skies as gray as the façade of the château, the falling leaves damp and brown. From the moment I stepped on the gravel walk that leads to the main entrance, I was hit with the profoundest tristesse. The “bad” house was, palpably, the “sad” house. Perhaps it was because my husband and I were practically the only ones there. Had everyone forgotten Josephine? The château is presently a museum of Napoleona. Maybe everyone visits his tomb at Les Invalides and doesn’t bother to take the Metro and then a bus all the way out to the estate that had been the quiet comfort of the imperial couple, a cozy monument of their love. As it was late September, what remained of Josephine’s magnificent gardens was sparse and sere—except for a couple of survivors, a few late summer roses that had managed to stay in full bloom through the first few days of fall. I had to photograph one of them; and it was not until I loaded them on my computer that I could see the details of what I had initially thought was one perfect pure white rose. Look closely and you will see several pale red spots. It is as if the rose itself had survived the sprays of blood from the Terror. And I’m sure you all know what Josephine’s real name was. But in case you don’t—until Napoleon decided to rename her, she was always known as Rose. HFBRT Creative Post on Josephine and Napoleon + GIVEAWAY!! Samson and Delilah, Cleopatra and Marc Anthony; you know the saying, beside every great man there is a Fantabulous woman! Renowned for his reputation as a great conqueror and leader, Napoleon has left his mark in history. Certainly he never was, completely loved by all, but one thing is undeniable- Napoleon did change the course of times. His great conquest plans and triumphs were largely based on his studying the works of Le grand Charlemagne. Napoleon idolized both Charlemagne and Alexander the Great- wanting to immortalize his feats and image to hold his own, in what is unmistakably the world’s greatest company. How much of a place did Josephine hold in Bonaparte’s life? What was her role in his grand plan? And for Josephine- why would she settle for the scrawny little Corsican who at the time had nothing but eager ambition to fill his pot? It would seem that at a time after having lived a life way too full for someone still relatively young, things would change dramatically for Josephine. She had experienced a lifeless marriage, the beheading of a husband, prison, hunger, devastation, deprivation and- the Revolution; all this while trying to survive and mother her young children. 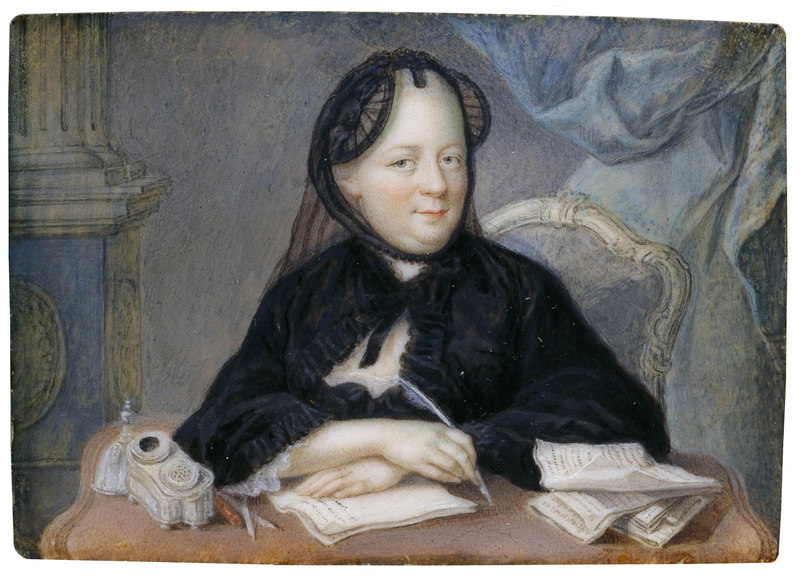 After having skimmed the guillotine by a thread, Josephine gradually began to rebuild her life and immerse herself into society while accumulating friends in relatively high places. History has not always been kind to Josephine, too often depicting her as flimsy with a less than shiny reputation when it came to love and loyalty. But then again, she lived in France in the 18th c, when circumstances begged for her to be seen this way, whether it was true or not; appropriately so, it being a man’s world in every way. There’s not much any woman could have done without risk of soiling her reputation. Josephine, along with other heroines of the past, too often bears the brunt of harsh and crude criticism. Whatever the circumstances, fate had it that Josephine and Bonaparte (as she always called him) were soon to be joined, then remembered and immortalized in the great hall of destiny. He, a little shy and some years younger- perhaps a little too awkward, but definitely interested, aroused, curious and, yes, romantic--Josephine was much more aloof and conscious of all of his faux-pas. After all what could this newbie in her entourage possibly have to offer her? His manners were odd, and his appearance scarcely led to endearment. Bonaparte thought her irresistible, experienced, well-bred and a noble. He envisioned his future and advancement with Josephine by his side. She, on the other hand, was not yet convinced and probably found the situation somewhat comical; definitely not serious enough to impact her. However, this was no joke…Caught in a whirlwind of love, demands, conquests, ascensions, trials and separations, the lovers lived a passion that nearly consumed them. Josephine’s initial resistance to what seemed an absurd situation (or relationship) capitulated into Bonaparte becoming Josephine’s breath of life. For his part, Bonaparte adored Josephine and thought about her relentlessly, with poems and letters to prove it; his ‘lucky charm’, is what he nicknamed her. Napoleon knew the impact that Josephine had on people, with her kind and gentle ways mixed with a keen sense of business and real touch of class. Combine this with the Conqueror’s incredible strength of mind, grand determination and indestructible self-assuredness –this couple was on fire! With that kind of combination, ascension to rule an Empire was inevitable. Together they were invincible and Napoleon thought he could live forever…continuing his destiny through the fruit of their love…an heir to the throne. Hmm…Trouble in paradise, where in the royal palace the queen gets banished. Bonaparte clearly had not calculated everything. In a perfect world his Empress would have given birth to his many little Napoleons and the succession would have proceeded, in all’s well that ends well. In this case, we all know how the story ends with both lovers agreeing to part knowing that their love was secondary for the good of their country and its people (a rule that all good royals pledge to abide by). This was a heart-wrenching situation for both. The remedy to Napoleon’s masterminding a son for heir involved marriage to a new royal wife as the plan. Marie Louise of Austria, try as she may, would never amount in being anything remotely close to Napoleon’s Josephine, and she knew it; everyone did. Nonetheless, Napoleon begot his heir and he rejoiced…and, so did Josephine. She had, after all, helped make this possible through the acceptance of living without love in order to give her Bonaparte the greatest gift she could; accepting the divorce in order for him to remarry and beget an heir. Their sacrifice had not been in vain. She could give him no greater proof of loyalty or love- her seal. Josephine could never have imagined loving to this extent- never imagining that the infinite depths of their love would remain just that; infinite. It is written that in their final breath, each one called out the other’s name. Beside every great man their stands an even greater woman. Reproduction of Napoleon's Farewell To Josephine (or My Destiny And France Demand It), a painting by Laslett John Pott. 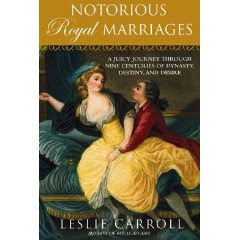 To Enter The Giveaway of Leslie Carroll's: Notorious Royal Marriages, please leave a comment and your email address! We're hosting a slew of events this week over at our Historical Fiction Bloggers Round Table Site- please be sure to check the Calendar of Events to join the fun! Readers can enter to win a signed copy of O, JULIET, by Robin Maxwell, and a beautiful heart necklace (one hand-crafted solid silver, one blown glass, and one carved Thai silver) on Maxwell's blog, http://robinmaxwell.blogspot.com. You'll need to provide your email address and answer a simply question about love -- this week it's: "What are the qualities in a lover that are most important to you?" Next Monday it will be a different question.